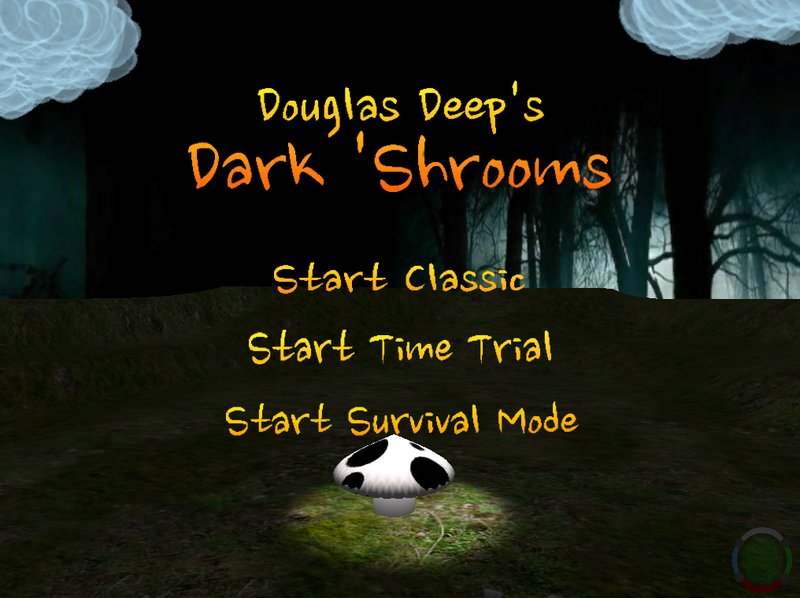 Douglas Deep’s Dark Shrooms is an iOS iPad game coming soon in which the objective is to prevent ‘Shrooms from multiplying and taking over. ‘Shrooms love the dark, when it’s dark the ‘Shrooms grow and grow until they get too big and pop. When they pop they multiply and grow again. 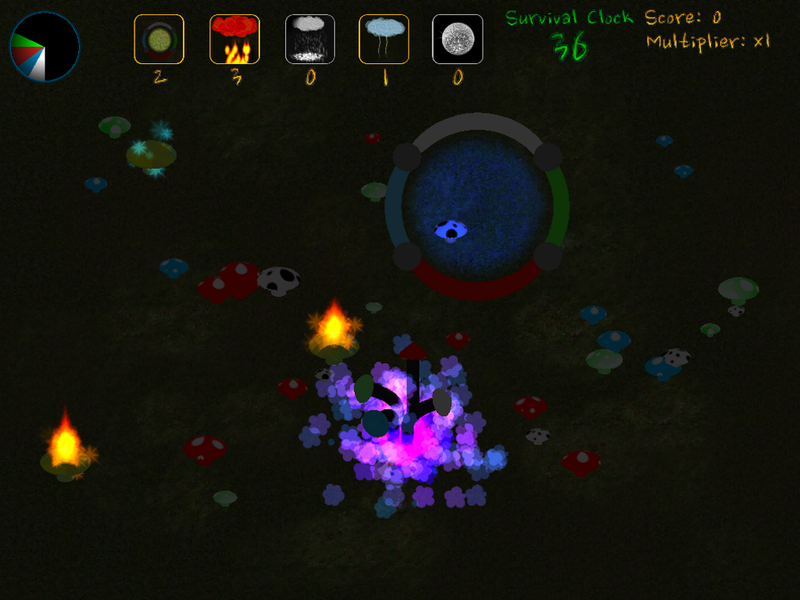 The player can prevent the growth of the ‘Shrooms by moving their spotlight over them. If the correct coloured spotlight is shone onto a ‘Shroom it will shrink in size. When the ‘Shroom gets too small it dies, but they wont sit around and wait to die, they will run away from the light if the can. 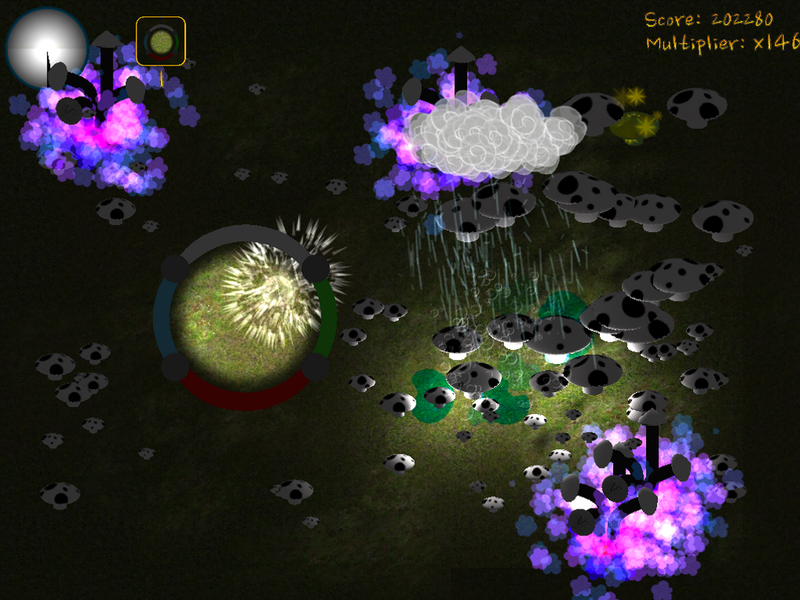 To aid the player in the prevention of the ‘Shroom invasion various power ups are available, these include Lightning Strikes, Larger Spotlight, Fire Clouds, Snow and Disco Lights. 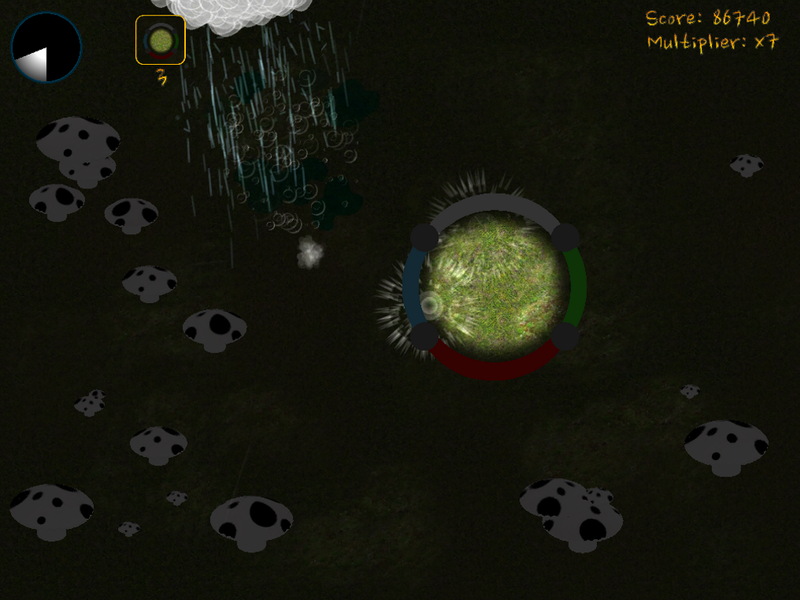 However, to help the ‘Shrooms there is always the Rain, ‘Shrooms love the rain, it speeds up their growth drastically. 3 different modes of hectic gameplay, Classic, Time Trial and Survival. White, Red, Green and Blue ‘Shrooms, MultiShrooms and a Boss ‘Shroom. Can you stop the invasion ?